Just thought I would start a thread specifically discussing the Pre-1970 Trunion front suspension in a high performance application. I've had my 1969 Javelin on the Road from 2009, and I've had a great time with it. When I built the car, I basically did all the stuff to my front suspension that was done to the 68 TA Race car. Does it work, sure does! I would recommend what I've done to anyone interested in putting together a trunion front suspension car. Looking at some improvements for the future, but you would not be disappointed with this, Listing this here to assist anyone interested in setting up you car, and also keep everyone aware of the limitations. - 17 inch wheels with 200 treadwear tires 215/45-17 up front. I do not have lowering plates, as I didn't want to add the un-sprung weight. I've done a few autocross events, and my first impression is that the front of the car needs more grip, (OK, to be honest, my first impression was that I need to be a better driver!) obviously when running a trunion front suspension you are limited in front tire size. Be aware that you are not only limited from a backspacing standpoint, you are also limited on the overall diameter and width to the outside, based on the amount of caster you dial in. In the experiment below I put a larger tire on the front to test fitment. This is a 245/50-17. Notice that the front edge will contact the corner of the front fender. This is installed using a spacer to clear the trunion. On the inside the tire was about 1/8 gap between the tire and the trunion. this is with about 3 degrees of caster. With a Radial tire, you want as much caster as possible with an older pro-touring type of car. Most cars set up for performance driving will have at least 5 degrees of caster. This is not possible with trunion front suspension, based on the limitation of the trunion itself. It was designed for 1 to 2 degrees of caster used with bias ply tires. For comparison, a 2005-2010 mustang specifies 7.1 degrees of caster. Cool, off topic completely, but it's my thread anyway :) AMC 20 rear axle, or other? to answer your question I have an amc 20 rear end with solid axles, the one the car came with. Also what front brakes are you running? I think I remember reading that the Ron Kaplan cars had factory modified inner fenders that mounted the upper control arms at an angle to increase the caster and have some anti-dive built in. 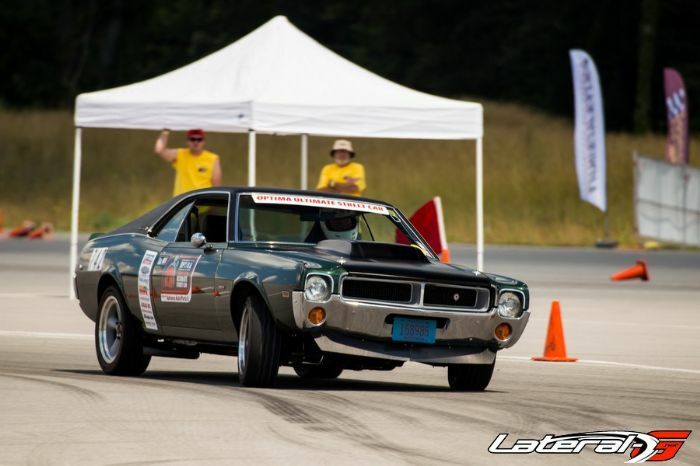 IIRC, Donohue mentioned that the 69 Javelin that was given to assist with the setup the 70 T/A car... he was surprised by the lack of suspension travel at the front, and how well it put up a good fight. Maybe trunions work best by going against what he sets up 70 on up suspensions in track form. His requirement is 3 inches play from bump stop to full travel. With today's tires and requirements to keep the tracking and rigidity at lateral Gs 2 inches is max with a wee give in the bump stops. I have the 'Aerospace brakes' kit. When I got that the Wilwood kit was not yet available. I do like the Aerospace kit, just not many upgrade options available last I checked. I did replace the pads with the more aggressive track pads and that made a significant improvement. 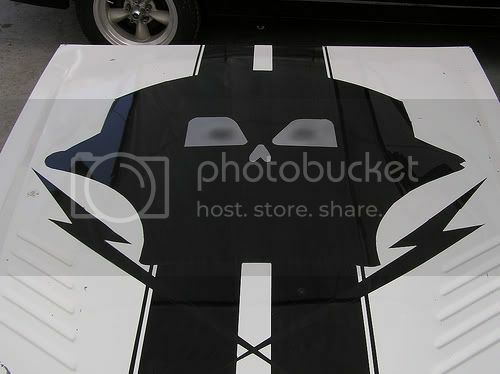 I've heard lots of rumors on what was done to the 68/69 T/A cars. all I can comment on is what I've tried. One idea I had was to add a spherical bearing to the horizontal mount point of the trunion. I went over many options, including replacing the vertical ball bearing with a tapered roller bearing, but all that is not as elegant as the simple upper ball joint solution. 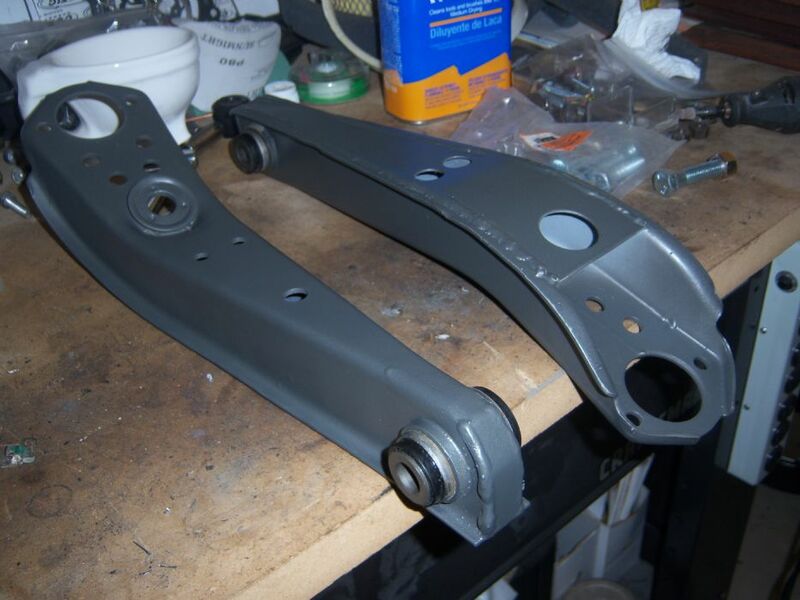 Here is the passenger side lower control arm. Looks like pushing the control arm toward the front of the car exerted extra pressure on the bushing at the connection point to the chassis. Over time it looks like it broke the lip of the bushing as it was pushing forward. Booo!